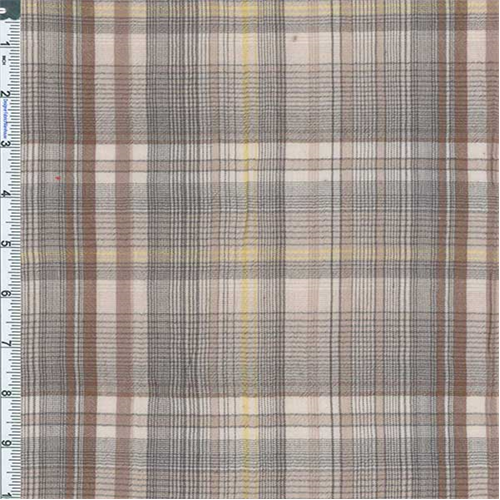 Poly Semi-sheer Crinkle Shirting Madras Shirting Plaid Fabric By the Yard, Beige. Semi-sheer, suitable for light-weight fashion rib knit tops or cardigans, Semi-sheer, suitable for light-weight fashion rib knit tops or cardigans, best for looser-cut styles, use a lining or underlay garment if opacity is desiredfor looser-cut styles, use a lining or underlay garment if opacity is desired. Soft, drapable, and semi-sheer.